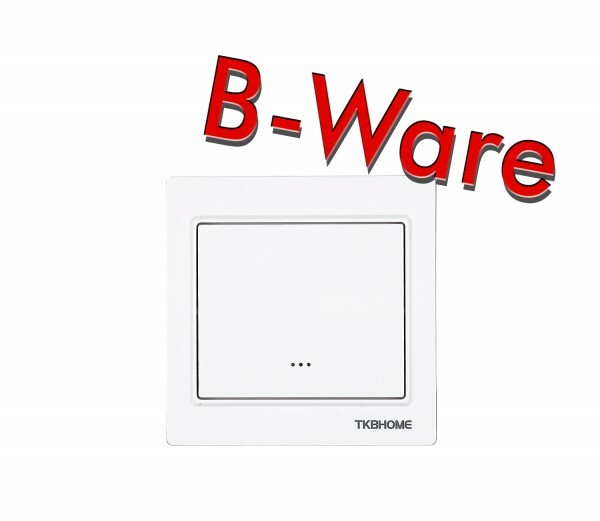 Product information "TKB Home Wallswitch with Single Paddle (Cornered Frame)"
The single paddle wall switch by TKB Home is a wall switch with integrated relay and 1 rocker button. The relay can switch one electrical load with up to 1,380 watts. With the rocker button or via Z-Wave radio, you can switch the connected load. Besides, further actions within the Z-Wave network can be triggered via double click. The wall switch can be easily connected to an electrical load without installing a flush mounted module separately. The relay is located inside a module which is directly connected to the wall switch with the paddle. With that TKB Home wall switch you can replace any switch insert or toggle switch. The wall switch can be mounted on any flush box. With TKB Home wall switches you can easily integrate your already installed lights into your home automation network. Without installing any news cable, you can switch your lighting as usual via wall switch – but thanks to Z-Wave technology also via remote control, smartphone or sensor-controlled automation. Related links to "TKB Home Wallswitch with Single Paddle (Cornered Frame)"